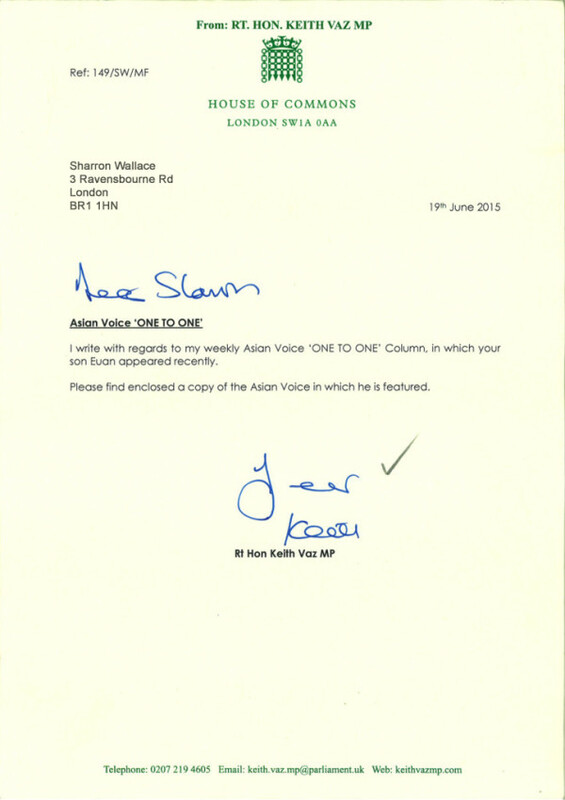 I write with regard to my weekly Asian Voice ‘ONE TO ONE’ column, in which your son Euan appeared recently. 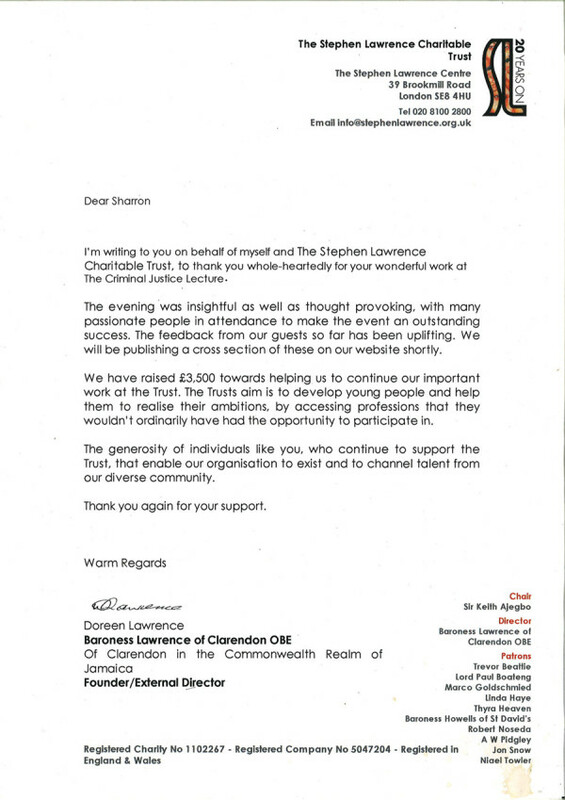 I’m writing to you on behalf of myself and the Stephen Lawrence Charitable Trust, to thank you whole-heartedly for your wonderful work at The Criminal Justice Lecture on March the 25th. The evening was insightful as well as thought provoking, with many passionate people in attendance to make the event an outstanding success. The feedback from guest so far has been uplifting. We will be publishing a cross section of these photos on our website shortly. 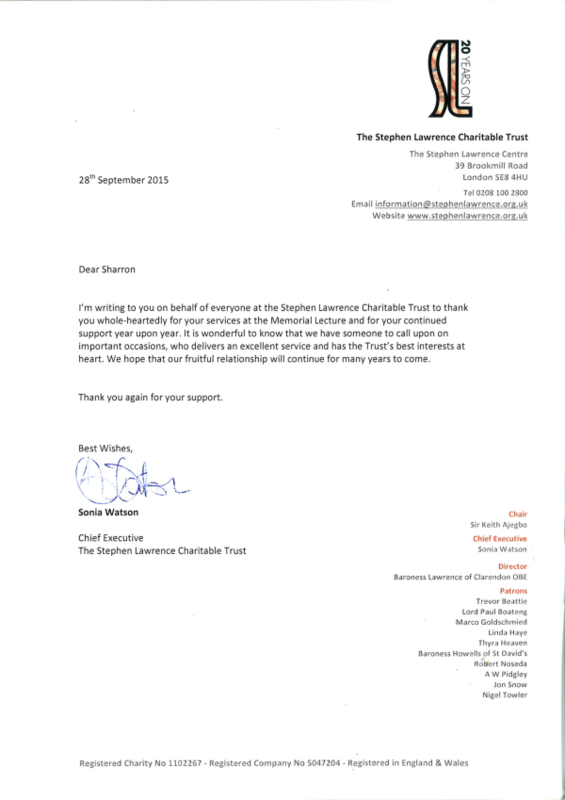 We have raised £3.500 towards helping us to continue our important work at the trust. The trust aims to develop young people and help them to realise their ambitions, by accessing professions that they wouldn’t ordinarily have had the opportunity to participate in. The generosity of individuals likes you, who continue to support the trust that enables our organisation to exist and to channel from our diverse community. The generosity of individuals likes you, who continue to support the trust that enables our organisation to exist and to channel talent from our diverse community. 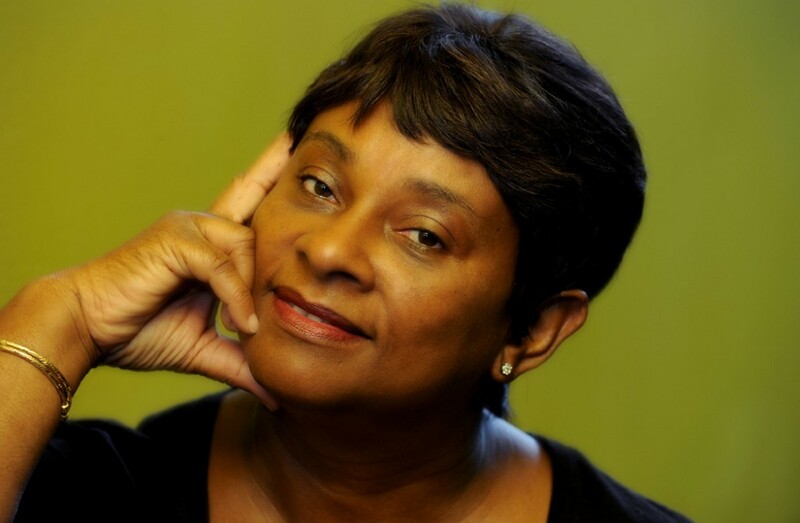 I’m writing to you on behalf of everyone at the Stephen Lawrence Charitable Trust to thank you whole-heartedly for your services at the Memorial Lecture and for your continued support year upon year. It is wonderful to know that we have someone to call upon on important occasions, who delivers an excellent service and has the Trust’s best interest at heart. We hope that our fruitful relationship will continue for many years to come.